The HP Spectre x2 initially looked a tasty proposition, so it’s disappointing that it misfires in key areas. At first sight, it’s a stunning 2-in-l with blistering short-burst performance, a fantastic screen and a set of forward-firing speakers that will make films sound great. The HP Spectre x2 12-c052nr is a detachable laptop that revolutionizes workflow and creativity and experiences the pen in a whole new way. 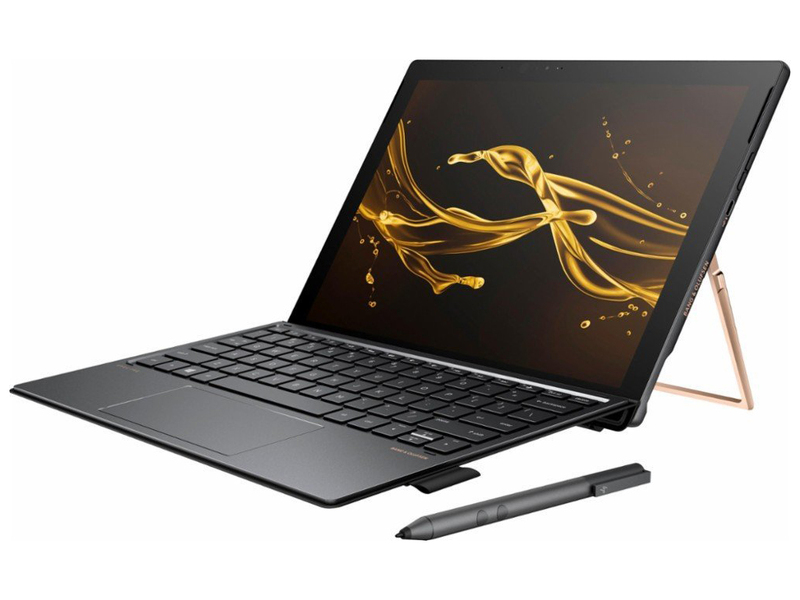 HP took the best bits from its Elite x2 tablet and the first-generation Spectre x2 tablet (2015), then updated the new Spectre x2 with the latest Kaby-Lake chips. The Spectre x2 (2017) weighs 2.48 pounds, putting it among the lighter tablets seen so far. Folded up, the tablet measures 11.57 x 8.15 x 0.52 inches. Compared to the older Elite x2, the new Spectre x2, HP’s latest tablet, feels noticeably lighter, though the thickness remains about the same. The Spectre x2’s keyboard is good. While Microsoft prefers to wrap its Surface keyboards in Alcantara fabric, HP has traditionally used an aluminum layer above a plastic foundation. The aluminum is not structural, as you will still see the slight bowing that characterizes other 2-in-1 keyboards. But the Spectre x2’s version also boasts a full 1.5mm of key travel, providing a comfortable, responsive typing experience. The elongated touchpad also works well. As for hardware, it runs on an Intel Core i7-7560U processor, 8GB of LPDDR3-1600 SDRAM and a 256GB PCIe NVMe M.2 SSD. The HP Spectre x2 12-c052nr also features Intel’s Iris Plus 640 integrated graphics and a 12.3-inch touch display with a 3,000x2,000-pixel resolution behind Corning’s Gorilla Glass 4. This display is a big boost over the first-generation Spectre x2’s 1920x1280 display and even the new Surface Pro’s 2736x1824 display. According to the specifications, it pumps out up to 411 nits, a surprising amount of light for a tablet. The two cameras include a 13MP rear one for those who like to take photos and videos with their tablets. A 5MP wide-view front-facing camera does a fine job for Skype, and there is an IR camera to supplement the optical camera for Windows Hello. 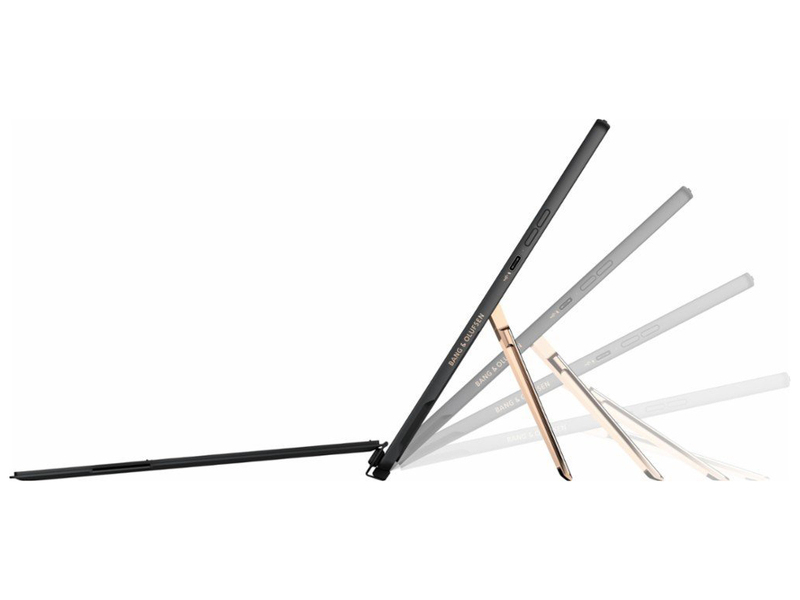 This time around, HP ditched the Wacom stylus, preferring an N-trig pen with just 1,048 pressure levels. 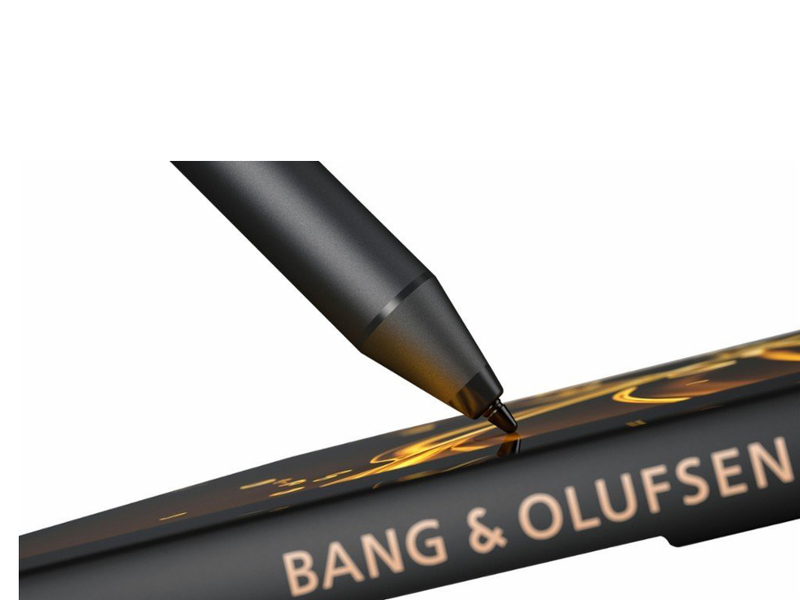 HP’s pen is powered by an AAAA battery with about a year’s lifespan. 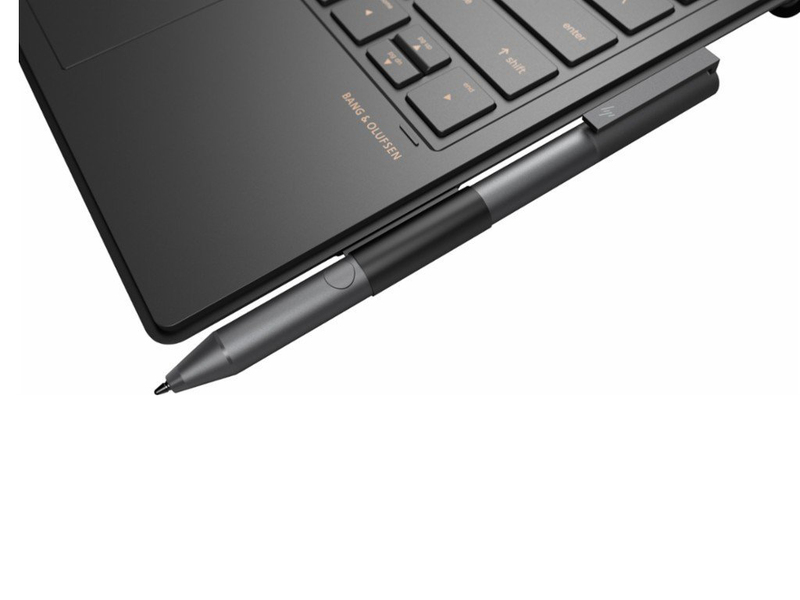 It lacks the digital eraser found on the Surface Pen, though one of the two buttons can be configured to erase digital ink. 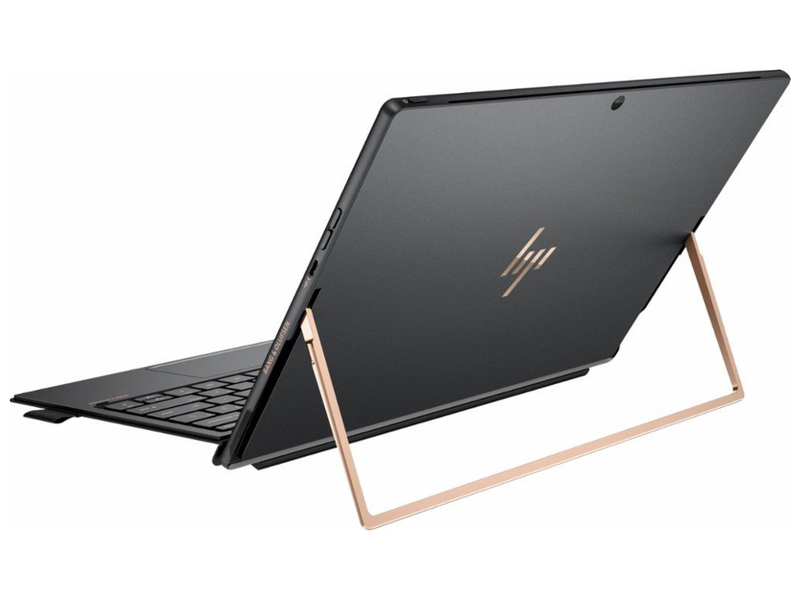 While last year’s Spectre x2 buried the speakers inside the keyboard, HP has returned to the more conventional front-firing speakers, once again tuned by Bang & Olufsen. They offer a serious punch, but turning off the B&O effects leaves music sounding tinny. Adjusting the bass slider seems to do absolutely nothing. Along the sides of the tablet is a pair of USB-C ports, either of which may be used for charging as well as I/O (USB 3.1 Gen 1, at 5Gbps) to drive a DisplayPort monitor. Even better, HP includes a USB-C to USB-A dongle inside the box. 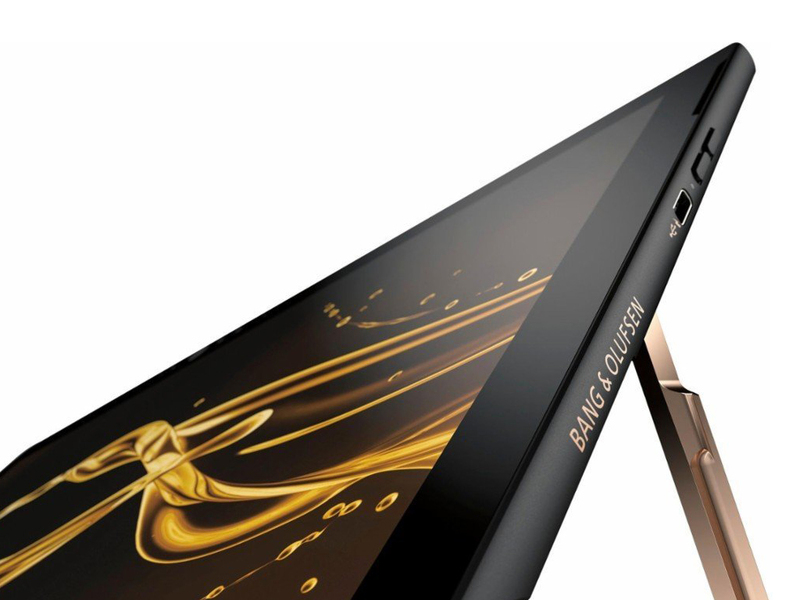 Users will also find a microSD-card slot on the left side of the tablet. 7560U: Kaby-Lake based ULV-SoC (System on a Chip) for thin notebooks and Ultrabooks. Integrates two CPU cores clocked at 2.4-3.8 GHz as well as an Iris Plus Graphics 640 GPU clocked at 300 - 1050 MHz and 64 MB eDRAM. Manufactured in a 14nm process.» Further information can be found in our Comparison of Mobile Processsors.